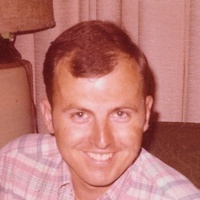 Louis F. "Lou" Sutton, Jr., 76 died on Sunday, September 23, 2018 at Genesis Senior Living, Aledo, IL. Lou was born on April 7, 1942 in Akron, New York to Louis F. & Elizabeth (Perry) Sutton Sr. He married Susan Longley on August 13, 1966 in Aledo. Lou was an agent with Country Companies, then Country Financial, for over 45 years, retiring on January 31, 2016. He was active in fundraising in the community, often helping the YMCA and local events like Ducks Unlimited and Pheasants Forever, of which he was a dedicated member. Lou loved the outdoors, especially raising and training his numerous hunting and farm dogs. He was also a dedicated member of the NRA. Lou is survived by his wife, Susan; sons and daughters-in-law: William & Chris Sutton and Jesse & Larisa Sutton and grandson, Connor Sutton, all of Chicago; a brother and sister-in-law: Edwin & Corky Sutton of Akron, NY. He was preceded in death by his parents; twin sister, Susan and a sister, Sylvia Ross. Memorial services will be held on Saturday, September 29th at 4:00 PM at Speer Funeral Home, Aledo, IL. Visitation and fellowship will immediately follow the services at the Mercer County VFW, Aledo, IL. Memorials may be made to the Mercer County YMCA or the Mercer Foundation for Health.